JAF II - Promo Poster. 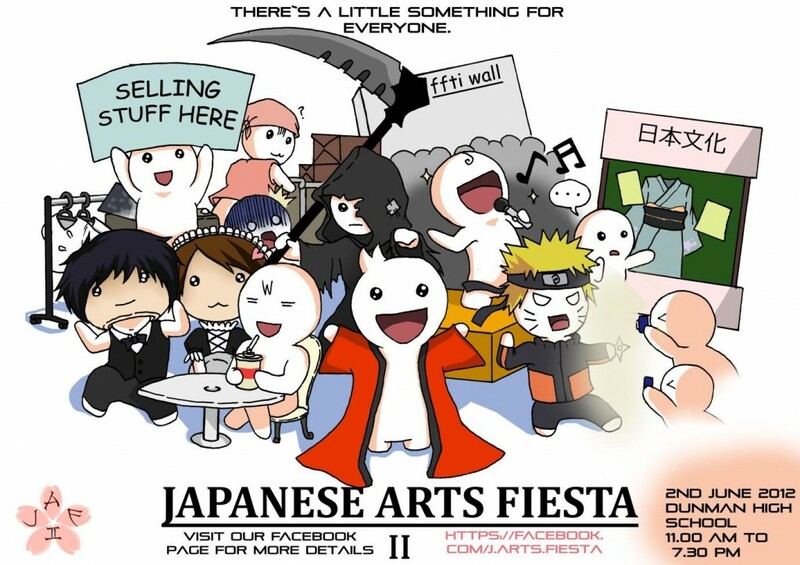 Dunman High School’s Japanese Arts Fiesta (JAF) marks its return next Saturday, with the campus transformed into a playground for cosplayers and fans of Japanese animanga alike. Helmed by the Yutaka Japanese Cultural Club (DHS YJCC) this year, the event promises more fun and excitement thanks to a the new team promises more fun and excitement, as well as a plethora of stage and fringe activities to whet your pop-culture palate. Highlights include a maid & butler cafe, a haunted house, a cosplay runway competition, song & dance performances, game stalls, vendor booths, and a studio set-up where cosplayers can be photographed. Time: 11 a.m. to 7.30 p.m.
Tickets: General admission is free. Tickets are required for the Maid/Butler Cafe ($10) and Haunted House ($2). Don’t forget to check out the JAF Facebook page for more updates and details!